Mexican food is trending – and with good reason. Exciting flavors, spicy meats, and colorful drinks are just a few of the things that make Mexican food more than a meal – rather, a dining experience. Nassau County, FL, sure is keeping up with the Joneses when it comes to restaurants, and Mexican is no exception. 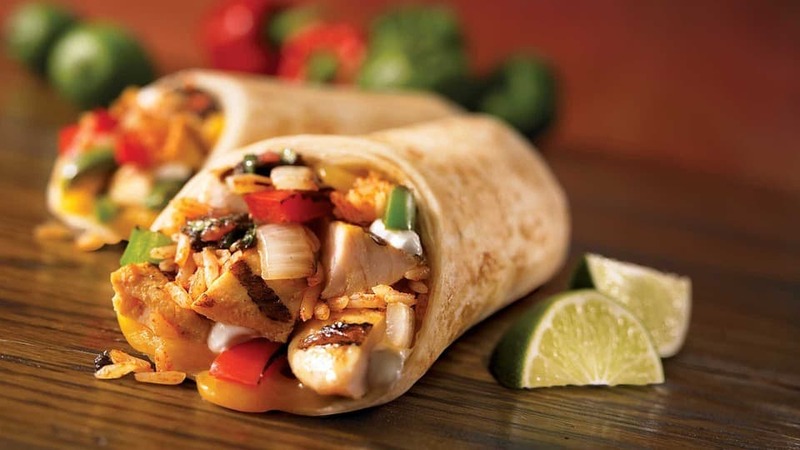 The city of Yulee, just a 15-minute drive inland from Amelia Island vacation rentals, has two great places to eat if you’re craving Mexican while on holiday: Don Patron Mexican Grill & Cantina and San Jose Mexican Grill. Don Patron is one of the best family-friendly restaurants in the area. They are known for friendly service, great food, and an authentic Mexican dining experience. Their menu includes overstuffed tacos, full of meats and veggies, crispy homemade corn chips with salsa or a flavorful guacamole, and excellent local seafood. They are known to have excellent ceviche; however, it isn’t actually on the menu. But if you ask for it, they will make you a platter of it big enough to share. The vibe at this restaurant is upbeat and lively – a little bit like a Mexican fiesta. Join them on the weekends or holidays – Cinco de Mayo, in particular – for a next-level party. They also serve lunch specials every day, and are lauded for their reasonable prices with high-quality food. They have a full bar with Mexican beers, as well as domestic and other imports, margaritas, and a wide variety of other cocktails. The drink of Mexico, tequila makes a regular appearance on their bar. Don Patron Mexican Grill and Cantina is open daily from 11 a.m. to 10 p.m. For information or to make a reservation, give their staff a call at (904) 491-3515. San Jose Mexican Grill is run by Gilberto and Jose Macias, two brothers from a small Mexican town called San Jose de la Paz. They strive to provide authentic Mexican food and great service – and both they seem to do well. Their menu would be best described as a short novel. Their lunch menu offers a number of plates labeled Lunch #1 through #15, so no need to pull out your high school Spanish in time for the waiter to take your order. Lunches include tacos, chile relleno, chimichanga, and enchiladas – order before 4 p.m. to save a dollar on any menu item. Dinner serves up an array of appetizers – think guacamole, hot wings, and quesadillas – caldos (soups), salads, and nachos – tradition, “the works,” and shrimp fajita, among others. Entrees include a long list of tacos, a vegetarian menu full of classic alternatives, and “Los Favoritos,” an array of traditional Mexican plates. The restaurant has bright terracotta-colored walls, a mix of tables and booths, and a birthday sombrero that has adorned the heads of many birthday boys and girls. Occasionally, they have traditional Mexican dancers do a show with their brightly colored Jalisco skirts. San Jose Mexican Grill is open Monday to Thursday 11 a.m. to 10 p.m.; Friday and Saturday 11 a.m. to 10:30 p.m.; Sunday 11 a.m. to 9 p.m. For more information and reservations, call the restaurant at (904) 548-0650. While cooking at Amelia Island vacation rentals can be fun, you might be craving a night out and a different kind of food. A short drive away, Yulee offers two excellent places to eat that offer an upbeat ambience and food from a little further south.